The instructions are simple - simply complete a full face of makeup in the time it takes you to get from the bottom to the top floor in any elevator and upload your video to Instagram using hashtag #ElevatorMakeupChallenge between July 18th and 3rd August (competition closes 23:59 (GMT). To encourage people to take part in the challenge, Huda will be awarding the winner with $5,000 USD to put toward a makeup scholarship, beauty training course, or the charity of their choice. On 4th August, Huda will choose three finalists from all of the entries received. 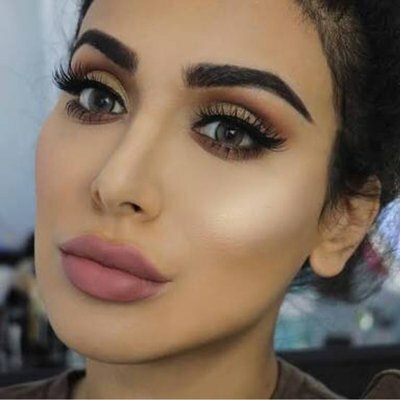 Between the 5th and 6th August, followers can log onto hudabeauty.com to vote for the winner, who will be announced on the website on the 7th August. Huda says, "This challenge is actually really hard - I got a lot of really weird looks when I was doing this! I went from the parking garage to the 27th floor of our office building and managed to go FULL GLAM and even applied fake lashes! Many of our followers are aspiring makeup artists and beauty entrepreneurs, and supporting artists has always been my mission, so giving a $5,000 cash prize for training or charity just felt like the best way to celebrate this challenge, and give back to our community."